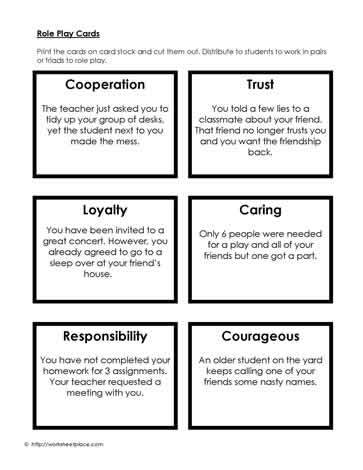 These social skills role play cards give students the opportunity to work through acting appropriately in various situations. Social skill activities need to be embedded into everything we do. Many students need help with social skills. Using appropriate social skills means doing the right thing and knowing what the right thing is to do, it's responding appropriately and thinking about the feelings of others.